I've always been annoyed when people call babies "miracles." Not because I'm anti-baby, but because I think we should maybe push our standards a little higher for what we consider "miracles." 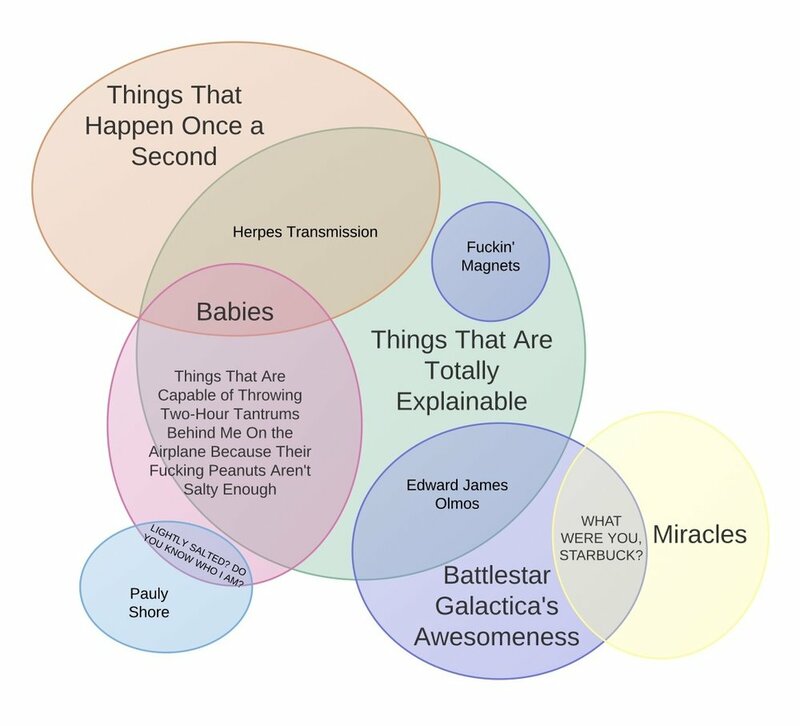 So I decided to make a Venn Diagram about it. But this is when I was really obsessed with Battlestar Galactica... so it kinda went off the rails. Apparently, I was a big fan of every-word capitalization at the time, too. Newer PostVictory in Europe: Can a war be just?